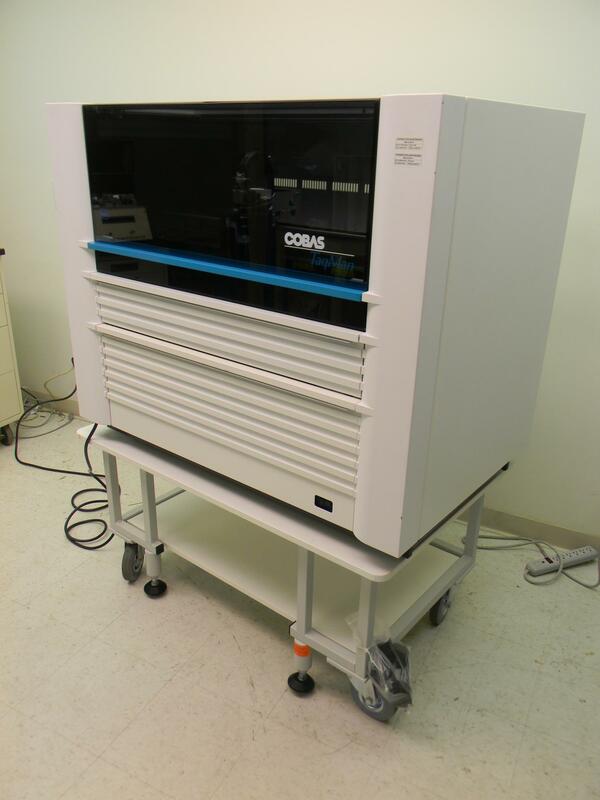 Roche COBAS TaqMan 96 Automated DNA Amplification and Detection Analyzer . New Life Scientific, Inc. This is a really nice unit just removed from a working lab . It is complete and proceeds through initialization with no problems. We Have 4 of these units plus the Amplipreps listed on a separate listing. A high-capacity 96 sample-format that provides automated real-time amplification and detection of DNA or RNA for up to four assays at the same time.